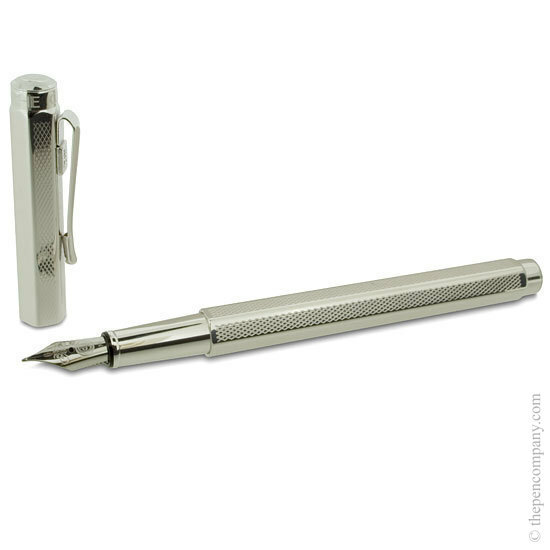 The Ecridor collection from Caran d'Ache features their trademark hexagonal barrel with a choice of different engraved designs and is available with either a silver-plated, rhodium-coated, or a luxury gilt finish. Now includes a new rose gold finish.Fountain pens are available with fine, medium and broad nib widths. 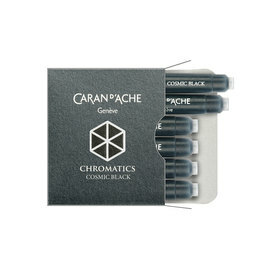 Caran d'Ache Ecridor fountain pens accept international standard size cartridges. 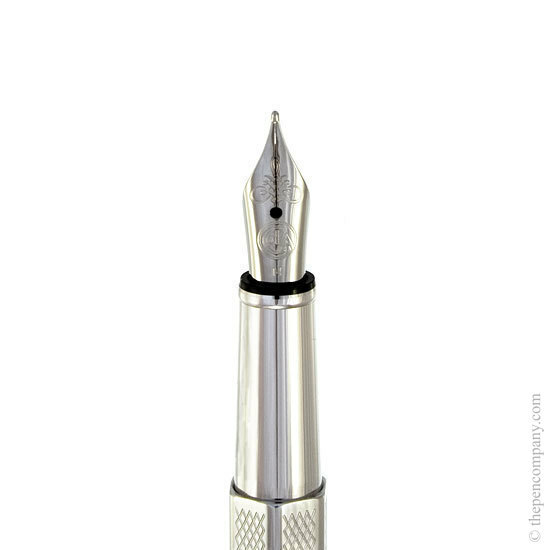 I already own Cross and Mont Blanc fountain pens and I can wholeheartedly say that this Caran D'Ache Ecridor provides a far smoother and more enjoyable writing experience - it is an absolute joy! I'm not a huge fan of chunky fountain pens so this slimline barrel suits my hand and writing style perfectly and combined with a fine nib, it truly is a delight. I debated for quite some time whether or not paying over £100 for a fountain pen was an extravagance too far, but I absolutely do not regret my decision at all. 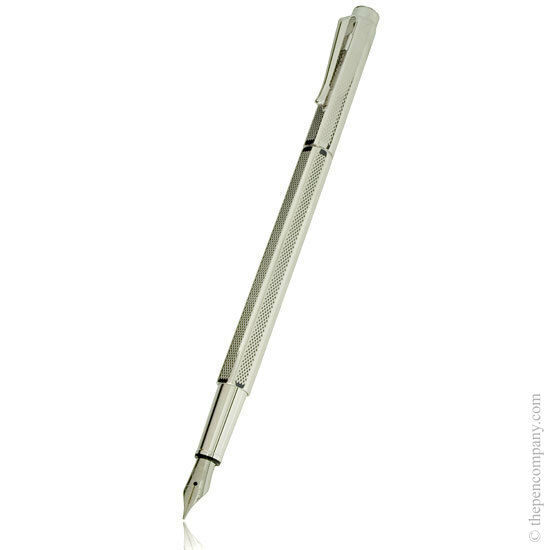 Everything about the pen screams quality; it is visually stunning, beautifully engineered and crafted and has a very satisfying heft to it. I cannot help but smile and admire the pen when using it. 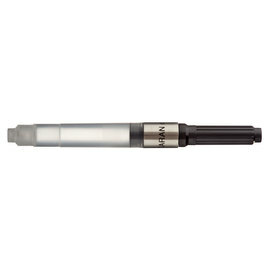 This is a MUST for fountain pen lovers. Many thanks to The Pen Company for the very swift, next-day delivery. You are definitely my first choice for future purchases! Pen came by next day delivery, and was exchanged without argument when I decided on a different model. The Ecridor writes nicely, and is satisfying to hold. Very prompt delivery , excellent product and best price I could find . More than satisfied ! Absolute high quality pen - as to be expected. I did order the pen during the Christmas holidays and it was delivered on the 2nd Jan. So thank you for the speedy delivery. I was also pleased with the price which was cheaper than other companies. Once again, thank you for the speedy delivery and a great price. 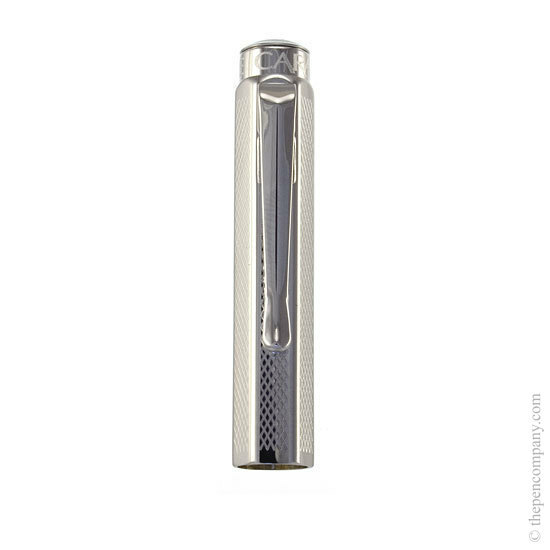 The fountain pens and rollerball pens are engraved on the cap. 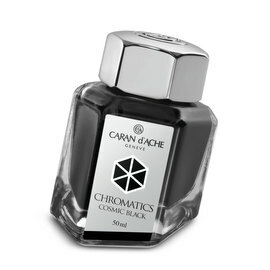 Caran d'Ache leave a blank "engraving pad" at the top to the cap for this purpose - the rest of the cap and all the barrel has the engraved pattern on it (Chevron, Retro finish etc.). 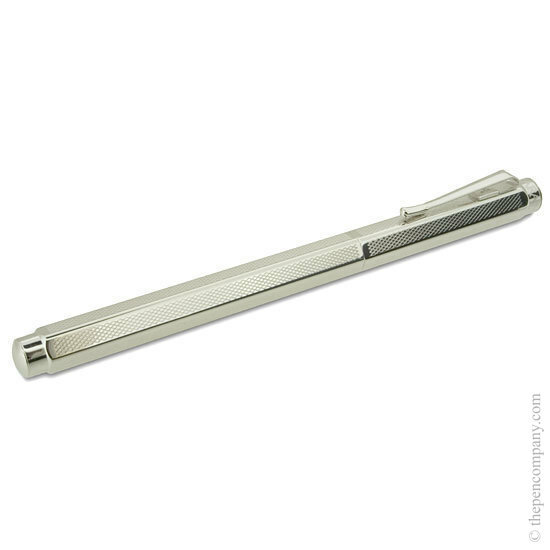 The cap is intended to be post on these pens an fits snugly on the end of the barrel. The weight with cap is 40g, with out cap is 25g.